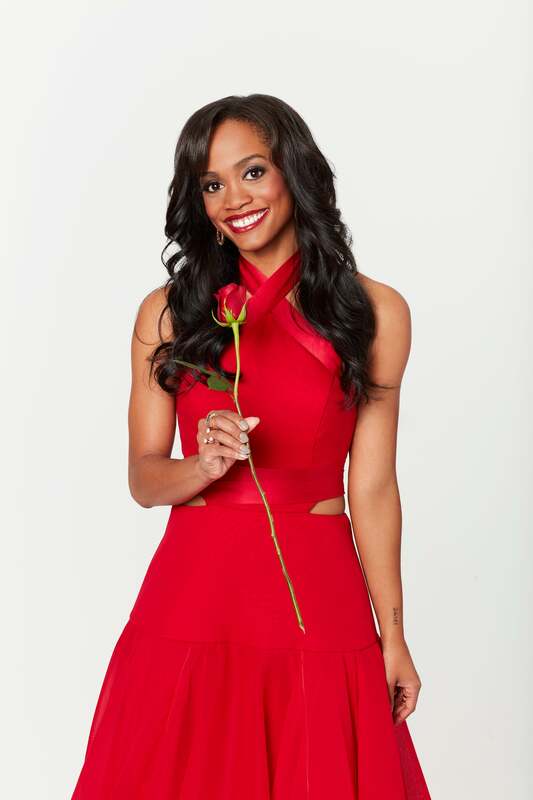 Last year Rachel Lindsay made history as the first Black Bachelorette in the ABC franchise’s history, yet even a show that is meant to showcase romance and love can’t seem to let a Black woman get her happy ending. While watching this year’s Bachelorette season finale , starring contestant Becca Kufrin, a White woman, Lindsay realized how different her own love story was portrayed on the show and shared her disappointment in a blog for Us Weekly. After Lindsay’s whirlwind season, which included the reveal of one contestant’s racists comments prior to the show, we got to her finale — and agonizing three hour emotional roller coaster. From the beginning, we were fed Lindsay’s sparks with Peter Kraus. In the finale, Kraus professed his love but confessed that he wasn’t yet ready to get married. Their breakup was brutal and we soon saw Bryan Abasolo – who Lindsay selected for her first impression rose – drop to one knee and propose to her. Their bliss was overshadowed by the breakup, and during the finale Lindsay had to watch the whole thing go down live with a studio audience. During the show she was also grilled with tough questions about her choice and also face off with Kraus in the finale. It was a stark contract to Kufrin’s finale, which despite also including a sad ending with her runner up guy, quickly switched into a beautiful engagement that illustrated the couple’s sweet journey together. Most startled by the romantic edit was Lindsay. “Becca did not sit on stage for three hours and watch the finale for the first time in front of a live audience. Becca did not have to deal with someone telling her she would live a mediocre life. Becca did not have to deal with being baited. Nope, that was me,” Lindsay says. On top of having her breakup take center stage over her bliss during the finale, much of Lindsay’s actual love story was not highlighted during her season, making it more difficult for viewers to understand why she chose Bryan. Yep, Rachel Lindsay was absolutely robbed. Sadly, we are in a society that too often sees the pain of Black people as entertainment. Her love story matters and so does yours. It’s one of the reasons we consistently showcase women in love at ESSENCE to remind us all that love is available to all of us. I share how successful women like Rachel Lindsay discover love in my new book Boss Bride: The Powerful Woman’s Playbook for Love & Success. Though Lindsay’s historic season concluded far from a fairytale in the finale, her love story could still get its due shine. We agree. And have our popcorn ready for the live wedding.